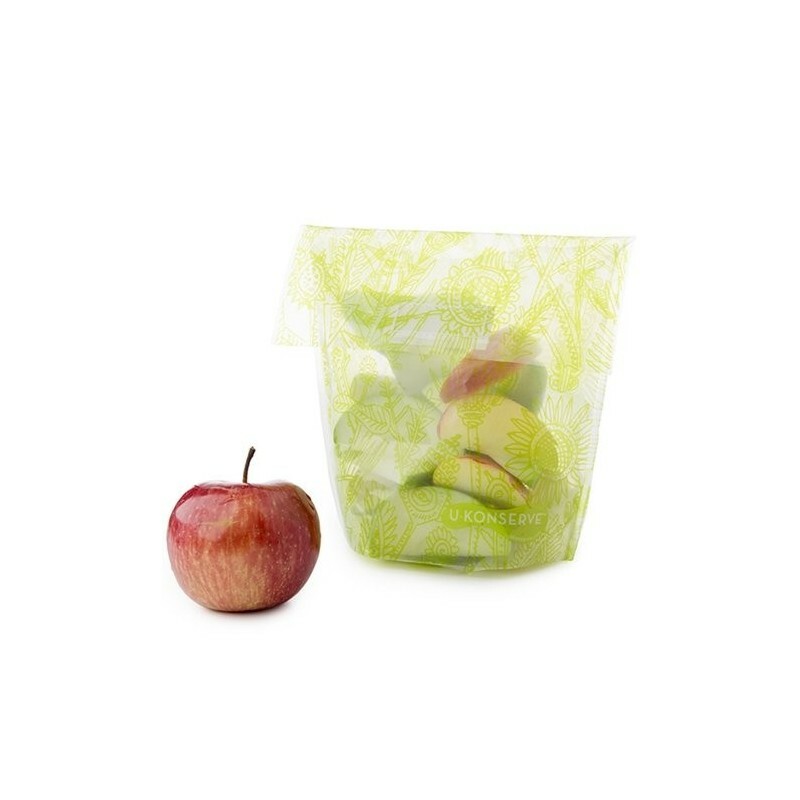 Stop using plastic baggies with these reusable snack bags. 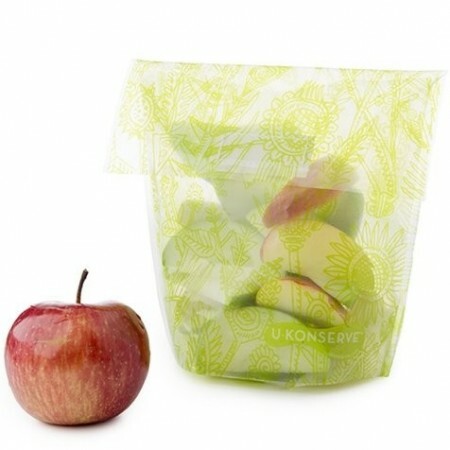 Package sandwiches, meat & cheese slices, apple slices, and any other snacks you desire. Easy to clean and prevents seeping and spilling of messy foods. Price for one bag. Encourage the next generation to reuse and recycle! Buying thoughtful, quality products that you don't have to replace often is great news for Earth's precious resources. Made from recyclable plastic, meaning a great end of life for your product. Made from *LDPE #4, a recyclable plastic. 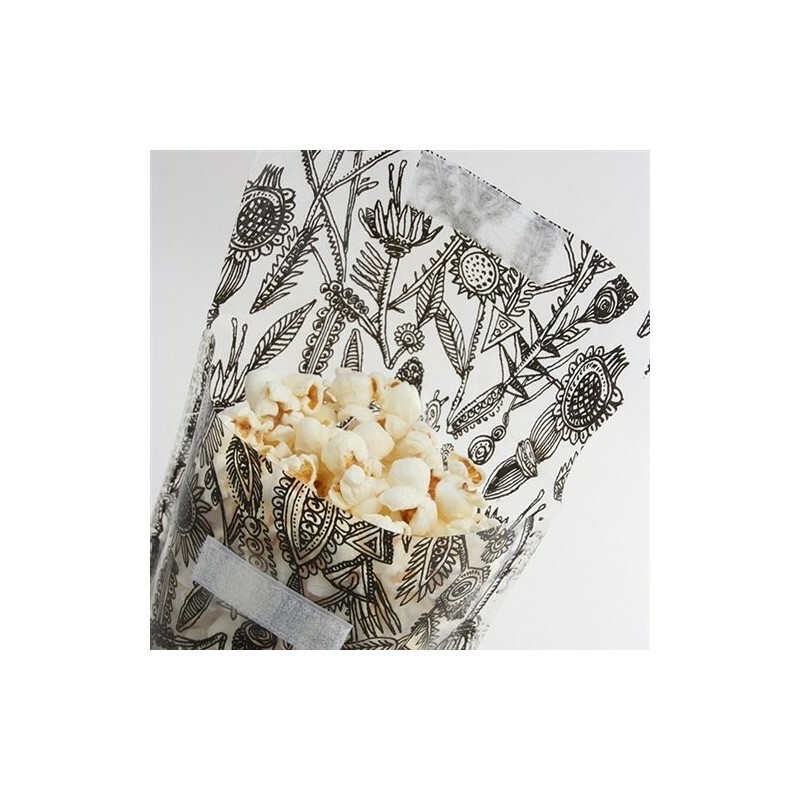 Reusable alternative to small plastic bags. Slick surface is easy to clean, dries quickly, keeps food from seeping out, making it perfect for messy foods. Great fridge storage for snacks and leftovers like cut meats, cut vegetables and blocks of cheese. 15cm x 16.5cm. Made from LDPE #4 plastic. US company. Konserve products are made responsibly in China.